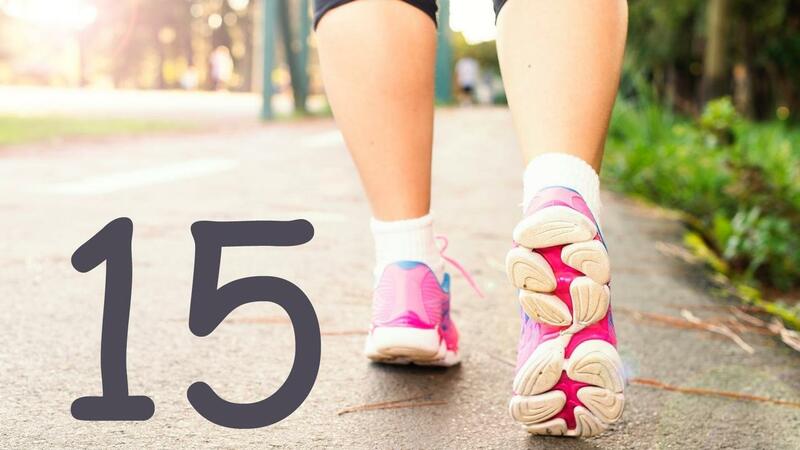 A recent study in Diabetes Care found that three, fifteen minute walks immediately after your primary meals (breakfast, lunch, and dinner) may significantly improve the control of blood sugar spikes versus a single 45-minute stroll. Short, intermittent bouts of postmeal walking appear to be an effective way to control postprandial hyperglycemia - a fancy way of saying controlling spikes in your blood sugar. Maintaining stable blood sugar levels has big implications for good health and how you feel day to day. Maintaining stable blood sugar helps keep your energy steady sunup to sundown. Blood sugar peaks and valleys can cause mood swings, energy dips, fatigue, irritability, headaches, cravings for carbohydrates or coffee, lightheadedness, the shakes if you miss a meal or feeling like you need a nap after eating. Even more so, when blood glucose is chronically high, damage can occur to the liver, pancreas, kidney, blood vessels, brain and nerves. Keeping blood sugars at a reasonable level is important for overall health and you'll feel better. If you're experiencing any of the symptoms, have conditions such as diabetes, pancreatitis, hyperthyroidism / hypothyroidism or Cushing’s syndrome, if you are pregnant or planning to become pregnant, try taking a 15 minute walk three times a day (morning, midday, and evening). Thorlo Has the Right Socks for You and Your Needs.